There are many words that can be used to describe the 2019 Jeep Cherokee: exciting, elegant, capable and authentic. One word the Jeep Cherokee is not – average. 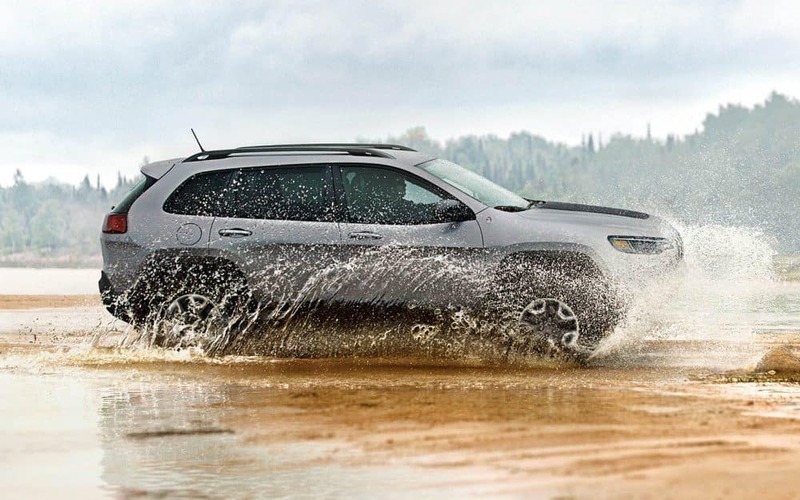 The 2019 Jeep Cherokee is far from average with new and improved features that makes it distinctive from its predecessor. Find the new 2019 Jeep Cherokee in Ellisville, MO at Royal Gate Dodge. The new 2019 Jeep Cherokee design offers exciting new design cues while still retaining the true essence of a Jeep Cherokee. A fresh refashioned front fascia, lightweight aluminum hood, a choice in five improved wheel designs, dual-pane sunroof and state-of-the-art LED headlamps are some of the new design elements to be enjoyed. The latest generation Jeep Cherokee is powered by a remodeled powertrain that features the enhanced direct-injection inline four-cylinder engine fine-tuned to offer improved fuel efficiency and greater performance levels thanks to engine stop-start (ESS) technology. The all-new exterior design showcases signature design cues such as the remodeled sloping aluminum hood, ultra-modern Bi-LED projector headlamps and re-shaped front fascia – all of which work well together to create a seamless harmonious look. 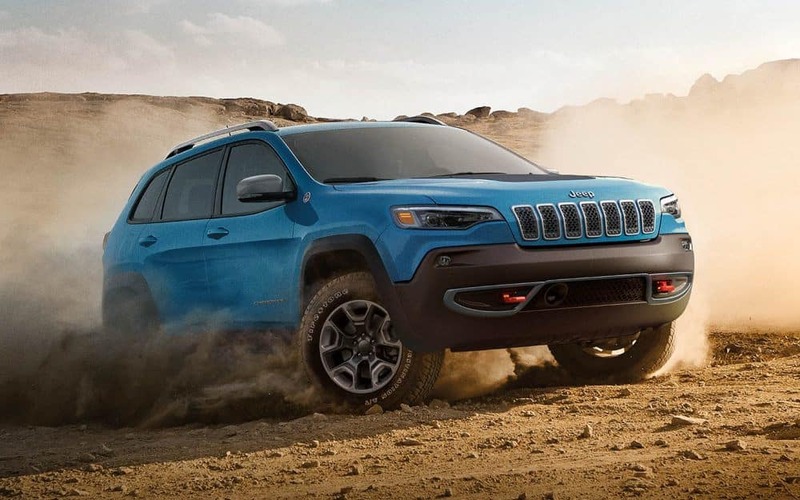 Why not test drive the new 2019 Jeep Cherokee in Ellisville, MO at Royal Gate Dodge Chrysler Jeep Ram today? You can find us near Fenton, MO. Our dealership also serves communities living near Glendale, MO, with a wide selection of new vehicles at hard to resist prices. If you are anywhere in the St. Louis, MO area, make the short drive down and visit us today.